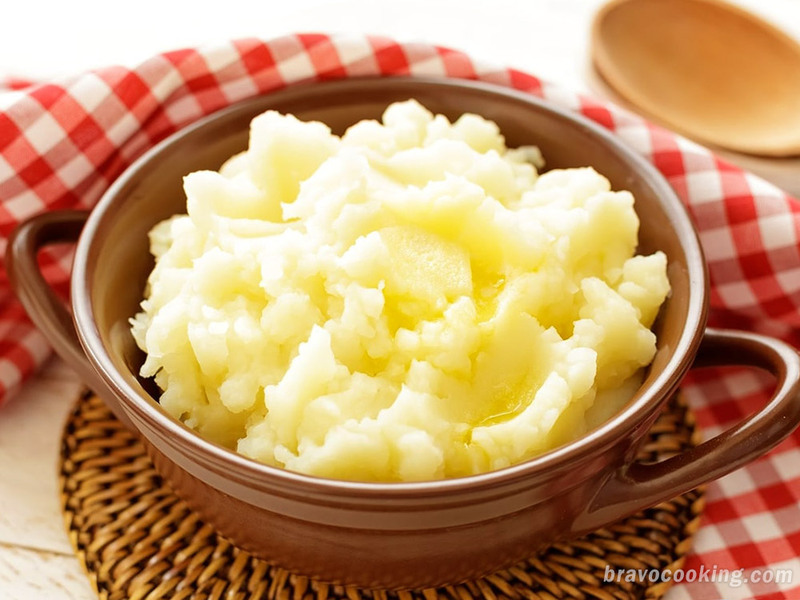 Very simple and easy recipe of potato purée (mashed potatoes). 2 pounds potatoes (cut into large pieces). If you don’t like the skins, you can also peal them. 4 tablespoons unsalted butter – softened. Bring to a boil and then lower heat to a simmer. Add a big pinch of salt and continue to simmer until potatoes are tender (test with a fork) about 20 minutes. When potatoes are done drain them and put the potatoes back into the pot to dry. Mash potatoes with a food mill or potato ricer into pot. Heat the milk in a saucepan and then add hot milk to potatoes. Stir over heat until smooth and add butter and beat until finely textured and fluffy. If too stiff add a bit more milk. Enjoy. I also add a little garlic powder every once in a while to spice up the taste. Great for thanksgiving. And this incredible resource you got here goes into my favorites!